Roofs are an integral part of any commercial or residential infrastructure. While the choices are umpteen, choosing the right kind of roof can offer the look, price point and functionality you are looking for. While other choices serve in certain regions and conditions, a flat roof can create a striking contrast to the many types of sloped roofs. Flat roofs also offer protection against the persistent forces of Mother Nature. 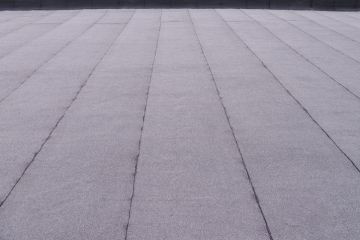 M Roofing, LLC specializes in commercial and residential flat roof installations. We also offer removal of standard roofing systems and replacement with flat roofs. Schedule an appointment with a trusted roofer by calling us at (832) 856-3853. We know how difficult and dangerous roof replacement can be. You may want to DIY the process to save money, but people often find that they spend more money on costly repairs necessary when the roofing job doesn’t go as expected! Having a professional contractor remove the shingles from the roof and install a new flat roof can save you a lot of time and make the process much safer and easier. Why Choose M Roofing, LLC for Flat Roof Installation? From setting up safety devices to dismantling timber joints, choose the company that won’t cut corners on quality or safety. For more than 19 years, the flat roof experts at M Roofing, LLC experts have gained solid experience in the roofing industry and their workmanship is unmatched. Happy customers who enjoy the benefit of a perfectly installed flat roof are our living testimonials. To get in touch with M Roofing, LLC, call (832) 856-3853 today. A flat roof not only offers beauty, but also longevity. M Roofing, LLC, uses modern, top quality materials on all flat roofs so that you can stay dry and protected year after year. With over 19 years of experience, our professionals have achieved a high set of skills in flat roof installation. M Roofing, LLC delivers an unmatched customer service and prioritizes safety as our top concern. Trust us to meet your roofing requirements and call (832) 856-3853 to schedule an appointment for an estimate today.